Since I reviewed the group’s earlier CD (Skril Naked) several issues ago, Whapweasel have become firmly established as one of the foremost up-beat ceilidh bands in the country. They’ve also increased their lineup to include saxophones & keyboard, to add to the driving rhythm of guitars, bass and drums and the melodeon-powered melodies of Robin Jowett. On first playing more of less as background music, I thought, “Yes, I like this.” A second airing strongly confirmed my impression, altough paradoxically, I still hadn’t latched on to any particular tracks or tunes, unlike those from some other bands who feature their own compositions. I listened more carefully to each track on the next couple of times through, and indeed there are some strong melodies, but it is the arrangements which make the most impact, with azzy sax and a solid folk rock beat. I thought one track had a pronounced oriental flavour – not suprisingly it was called Trip to Bombay! 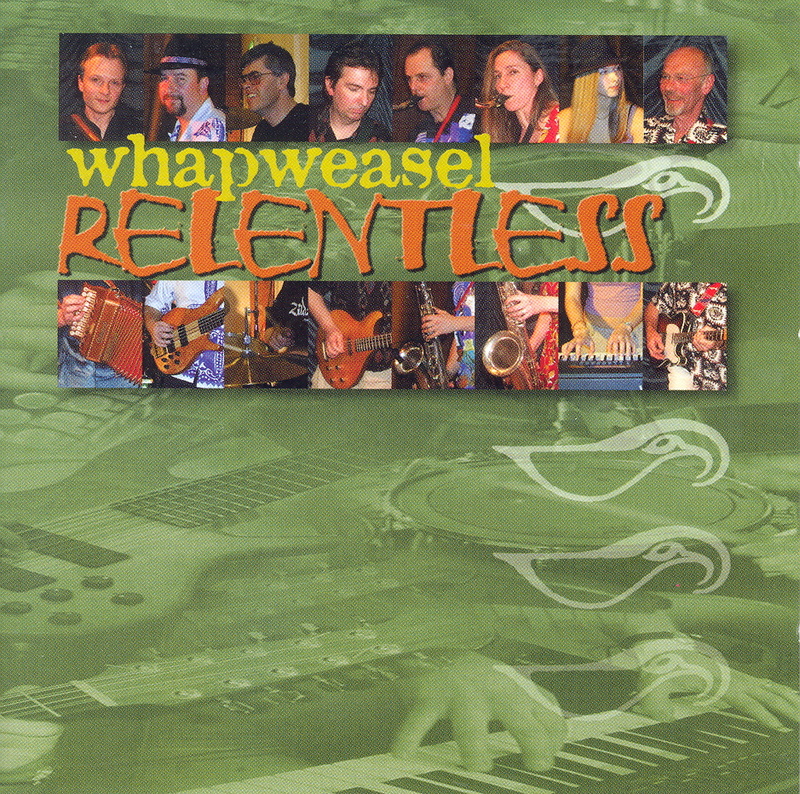 Whapweasel’s reputation will have surely been enhanced by their full schedule of appearances at the 2003 Sidmouth, from children’s events and the informal Annchor Garens ceilidhs through the the LNE revels and this CD will please all their fans, old and new. It’s not for the purists of English traditional folk music, but it’s a great album to listen to, as the band push the boundaries of dance music for the ceilidh scene.